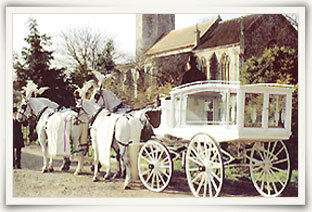 For many families choosing a specialist style Horse Drawn Funeral provides a special tribute for their loved one. Our fleet of magnificent authentic, antique hearses can be drawn by pairs or teams of black or white horses with your choice of black or white hearse. 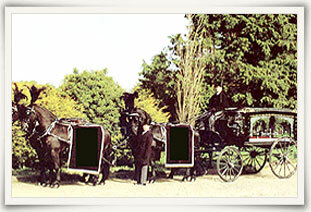 The horse drawn funeral carriages offered by us are the answer to the old question which asks how we can show or exhibit to the world about how special we felt about our deceased loved one. They deserved more than what they get from ordinary funeral arrangements. 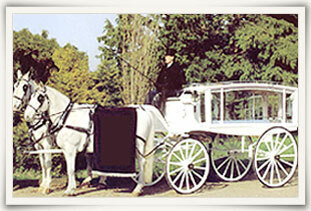 Our hearses are able to accommodate most sizes of coffins and caskets. Floral tributes are normally displayed on top of the hearse although many families choose to have a motorised floral hearse as well. 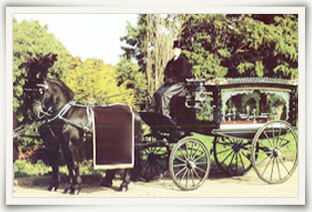 Overall, the horse drawn funeral carriages will ensure that the final journey of your loved one is made special and memorable.